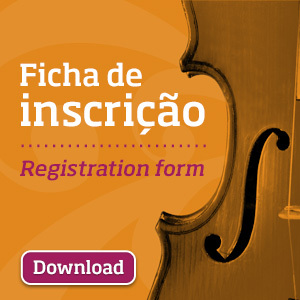 There are three groups qualified for the Finals of the Junior Category that appeared yesterday, November 20th, at the 5th International Chamber Music Competition “Cidade de Alcobaça” (CIMCA), during the first set of Eliminatory Rounds presented at Cine-Teatro de Alcobaça – João d’Oliva Monteiro. Out of four participant ensembles, these were determined: Quartetiev, Repercussion Trio and Requintet. The Final, of this category, will take place tomorrow, on November 22nd, Wednesday, as always at Cine-Teatro de Alcobaça – João d’Oliva Monteiro. Regarding prizes, for the Junior category, the prize will be €2500 and a concert under the ambit of Cistermúsica – Alcobaça Music Festival (2018 edition); the 2nd Prize includes a monetary value of €1250 and the 3rd Prize a value of €750.